Frank Lampard has seen himself linked with a move to former club Chelsea, who are in a rotten run of form recently. The Blues are currently sat 6th in the Premier League and were thrashed 6-0 by Manchester City at the weekend. This shock result has raised questions about Maurizio Sarri’s future at Stamford Bridge and he could be heading for the exit door in the near future. 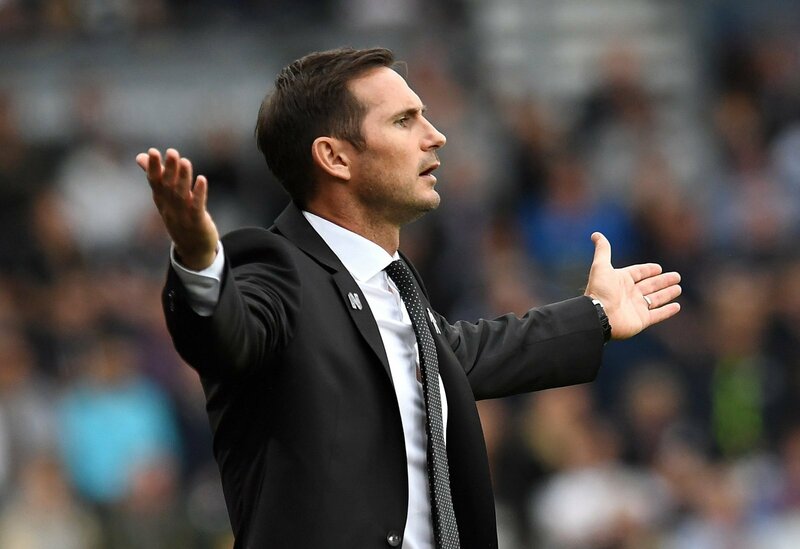 Lampard has impressed in his first managerial spell with Derby and has led his side to within touching distance of the play-offs this season. But the former Blues midfielder is going to be tempted by the prospect of returning to his former club in the near future. Lampard will surely want to finish what he has started at Derby though and could want to stay with the Championship club for the remainder of the season. He has already brought in a number of Chelsea loanees, and will be keen to see how Derby fare for the rest of this year’s league campaign. If he was to jump ship and leave Derby, then he’ll surely regret it, as they are having an impressive season so far. A move to Chelsea shouldn’t be ruled out by Lampard though, as obviously, as a manager you want to be managing the best clubs in the country, and Chelsea are certainly one of them. It’s a real dilemma that Lampard could do without midway through the season, and he’ll need to remain focused until any sort of offer is tabled to him by Chelsea, if they are to sack Sarri. If his head is turned by the Blues, then it could seriously derail their promotion bid this season, as Derby look to win promotion back to the Premier League. It’s sure to be an interesting couple of weeks, as the speculation linking him with a move to Stamford Bridge isn’t going to go away anytime soon.